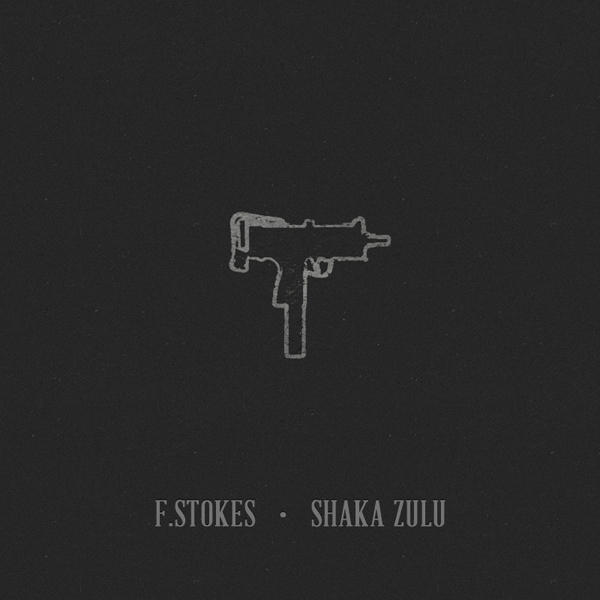 MP3: F.Stokes - "Shaka Zulu"
On June 15th, rapper F.Stokes will release his new album, Fearless Beauty. The project features production by Paper Tiger, a member of Minneapolis indie hip-hop collective DoomTree, and today, to celebrate the album announcement, F.Stokes is also unveiling the album's lead single, "Shaka Zulu." "The aim of this record, aesthetically and creatively is to capture the courage, strength and resilience of my family," begins Chicago-bred rapper F.Stokes. Born and raised into early adolescene in the infamous South Side of the Windy City, the rapper draws much of his inspiration from the experiences of his childhood both joyous and painful, comforting and haunting. He continues, "During the recoding of this project I spiritually—and physically—placed myself in my childhood room in Chicago. I revisited conversations I had with the junkies, the pimps, the prostitutes, the gangsters, all manifesting in the recordings." In a very palpable way, the album plays simultaneously as a love letter to F.Stokes' formative home and familial relationships, a requiem for those he saw succumb to a the travails of poverty, crime, substance abuse and injustice, and also a rallying call for unity amongst those that are still caught in the struggle. Featuring tracks produced by Paper Tiger of Minneapolis indie hip-hop collective DoomTree, stylistically the album draws influences from everything from Chicago Blues to throwback hip-hop from the 1980s and 1990s, to tribal African drumbeats, as well as taking cues from the cultural landscapes created by revolutionary musicians, poets and writers of the Harlem Renaissance and activists of the Black Power movement. Today the first single off the album, "Shaka Zulu," has been released exclusively via Potholes In My Blog. The song stands out as perhaps the most political cut on the record, and draws a metaphorical comparison between elements of tribal life and the modern day struggle for survival in the inner city. F.Stokes explains, "This track is my call for unity. 'Shaka Zulu' tales us into the young warrior's mind frame. It also reminds us that we're all Shaka Zulu in a sense; the will to hunt is universal." However thematically and sonically ambitious the album comes across it is ultimately an intimate listening experience precisely because it remains firmly contextualized in F.Stokes' own life; ultimately the story of his friends, his family and his personal journey growing into the man he is today. In this way the record also serves as a reckoning of sorts for F.Stokes to assess where he has come from and ruminate on his future. He says of the experience of creating the album, "Fearless Beauty is unapologetic, direct, provocative, unifying...this was probably the most emotionally exhausting recording due to the fact that I never really made peace with myself for leaving Chicago. Part of me felt as if I betrayed those that raised me. All I ever wanted to do was make the city of Chicago proud." Please contact Michelle or Dan if interested in talking with F.Stokes. F.Stokes is a Chicago born and bred rapper and spoken word poet now based out of New York City. He tells his story with punctuating imagery and glass-like clarity as he looks at the world through the lens of his family's shared experiences. Growing up as one of six children to a single mother in the South Side of Chicago, he shared his home with people who lived on the edge of violent death, poverty, and ghosts of abuse and addiction. He found solace in writing early on in childhood and soon began to express himself creatively through verse and spoken word poetry as he grew into adolescene and early adulthood. In 2009 he began touring in Europe in preparation for the release of his first album, 2010's Death of a Handsome Bride. He quickly grew as a prolific artist, releasing the Baked Goods Mixtape in 2011 and Love Always in 2012. F.Stokes has performed at the Montreal Jazz Festival, The Essence Festival, and the Metropolis Festival in Holland. He has also cultivated a particularly strong fan base in the UK, where he recorded an EP with the band Bastille, and in Paris, where has sold out multiple shows and has been featured on Nova Radio. Stateside he has been featured in XXL Magazine, Source Online and HipHopDX, among others, and has toured with the likes of Ryan Leslie, Chall Tuna, Mac Lethal, Arrested Developed and Nas. 2013 will see the release of his new album Fearless Beauty, which features production by Paper Tiger of Minneapolis indie hip-hop collective DoomTree, his most personal and political record to date, and more tour dates in Europe, including the Independence Day Festival in France on July 4th.